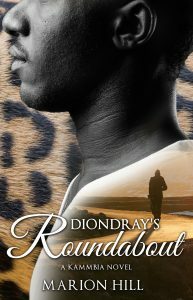 Sometimes you pick up a book or these days download it to your Kindle Paperwhite and read. 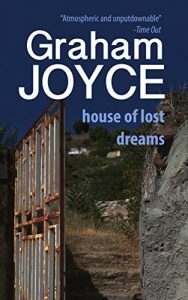 House of Lost Dreams by Graham Joyce is one of those types of novels. I had heard of Graham Joyce’s work over the years but did not have an inkling to read any of his work until now. House of Lost Dreams is the story of an English couple, Mike and Kim, moving to the Greek Island of Mavros. The couple wants to begin a new life in Greece and quickly learn their new home is infested with scorpions and doesn’t have electricity and plumbing. Also, the home has an ability to manifest anything spoken in its area from dolphins to snakes. However, the couple remains in the home and makes the best of their relocation. Another main character, Manousos, who watches the home regularly as the couple tries to make it liveable. He ends up becoming a key figure in their lives. An additional component of the story is when Kim’s best friend, Nikkie arrives in distraught over her marriage. However, the plot reveals a connection between Mike and Nikkie that ends up threatening his marriage to Kim. Joyce added to the plot a supernatural element from the house and a pilgrimage by Mike with Manousos in order save to his marriage that seemed out of place. However, I found the relationship between Mike and Kim interesting and thought-provoking. The author has an excellent understanding of the dynamics in a marriage and provides insightful ideas on how it can change suddenly. House of Lost Dreams is an odd but compelling novel. I’m glad I took a chance with Graham Joyce and looking forward to reading more of his work. Graham Joyce is one of my favourite authors – so sad that he died in 2014, young at 59, with so many more great stories and characters to come. I always looked forward to his next book. I would particularly recommend Smoking Poppy and The Limits of Enchantment. Thanks for the recommendations. I enjoyed reading Graham Joyce and bought The Stormwatcher on my Kindle. I will check out your suggestions as well.